The next chapter in Guild Wars 2’s Living World has gone live. Entanglement is the second act in the evolving storyline of the MMO. Heroes can continue to explore the Brisban Wildlands, attempting to uncover the mystery of the plague of extremely angry vines that’s spreading out from the Wildlands. If you missed Entanglement’s trailer last week, here it is again. Along with the continuing story, there are new episode-specific achievements to unlock, new crafting recipes that require players to hunt down fossilized bugs, and a higher tier of reputation. And, of course, it comes with its fair share of bug-fixing, class balancing and a dash of polish. 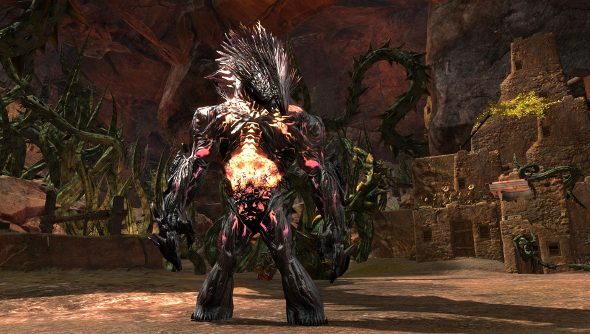 You can take a gander at the patch notes on the Guild Wars 2 forum. Good luck if you’re going gardening today.